Today, UMBC announced that Dr. Karl V. Steiner is joining the university as the Vice President for Research, beginning September 1, 2013. 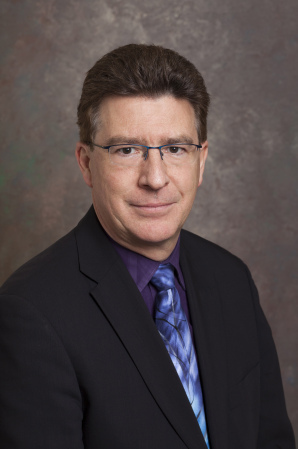 Dr. Steiner joins the UMBC community from the University of Delaware, where he served as Senior Associate Provost for Research Development and previously as Associate Provost for Interdisciplinary Research Initiatives. "I have known about the outstanding reputation of UMBC for some time and I was very impressed with the facilities and labs, the faculty, staff and students that I have seen during my recent visits to the campus," said Steiner. "I am looking forward to taking on these new, exciting challenges, working in close collaboration with President Hrabowski and Provost Rous and getting to know the entire UMBC community. I am eager to provide leadership to expand UMBC’s already vibrant research programs by building a nationally recognized research institution and a strong economic engine for Maryland." At the University of Delaware, Dr. Steiner held faculty appointments at the rank of professor in both the Department of Electrical and Computer Engineering and the Biomedical Engineering Program. He also served as founding Associate Director of the Delaware Biotechnology Institute for eight years, as Executive Director of the Center for Composite Materials, as founding Executive Director of the Fraunhofer Research Center – Delaware, and as President and Founder of Lightweight Solutions, Inc. Dr. Steiner has chaired and organized over 50 research symposia, conferences and panels for groups from the Delaware Health Sciences Alliance to the Northeast Cyberinfrastructure Consortium. His work includes fostering notable interdisciplinary collaborations among engineers, life scientists, social scientists, health scientists and others. Throughout his career at Delaware, Dr. Steiner has been instrumental in securing $150 million in externally funded programs for University and statewide research and infrastructure initiatives. Dr. Steiner received his Engineering Diploma in Electrical Engineering from the University of Applied Sciences in Braunschweig Wolfenbüttel, Germany, in 1983; his Master of Electrical Engineering from the University of Delaware in 1989; and his Doktor Ingenieur in Mechanical Engineering from the Institute for Composite Materials (IVW) at the University of Kaiserslautern, Germany, in 1995. He advised 23 Ph.D. and master's students, is a co-holder of two patents, and has authored over 80 publications in prominent science, technology and engineering journals, including articles in the Journal of Industry and Higher Education. As Vice President for Research, Dr. Steiner will play a leading role in fostering UMBC’s research agenda and advancing its research mission, serving as a catalyst for research innovation and for the integration of research and education across the university. The appointment of Dr. Steiner to Vice President for Research concludes a successful national search for a leader to build on UMBC’s strengths in scholarship across all of our departments, programs and centers and to enhance and grow the research enterprise at UMBC.